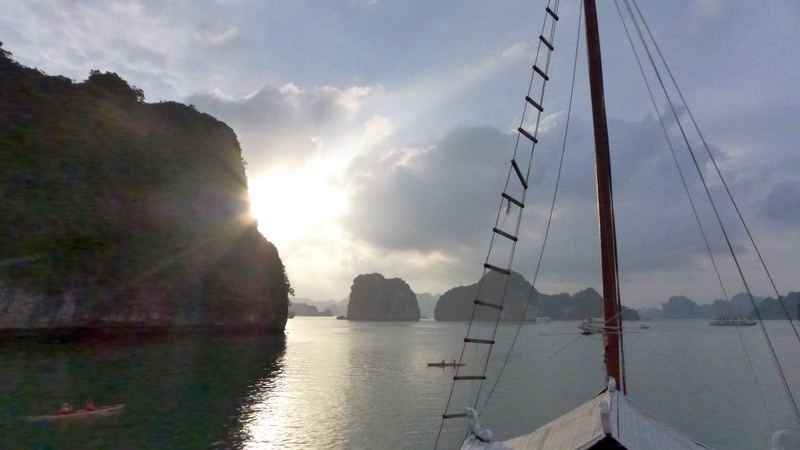 Ha Long Bay: Pants-less Spaniards on our Party Boat! 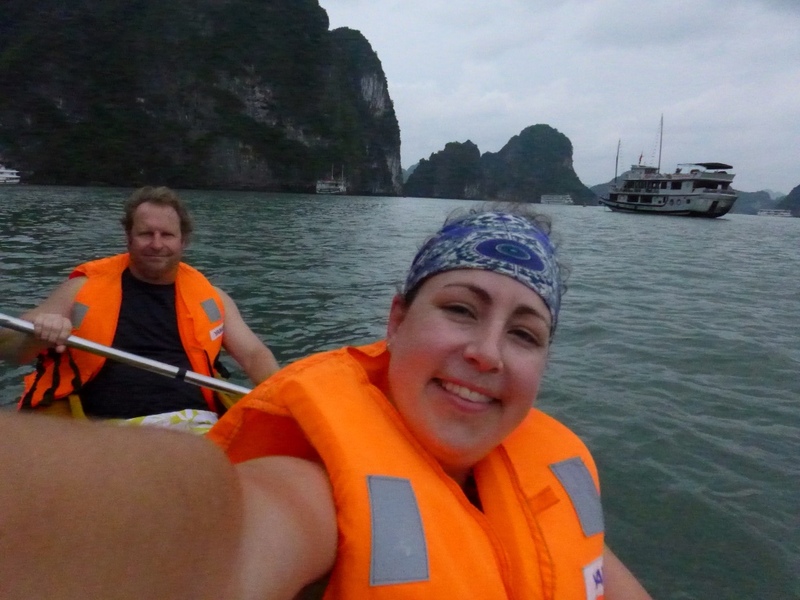 Ha Long Bay tour started out pretty normal… lunch on the boat while cruising the bay, then you stop for a 15 minute paddle in some decaying kayaks. 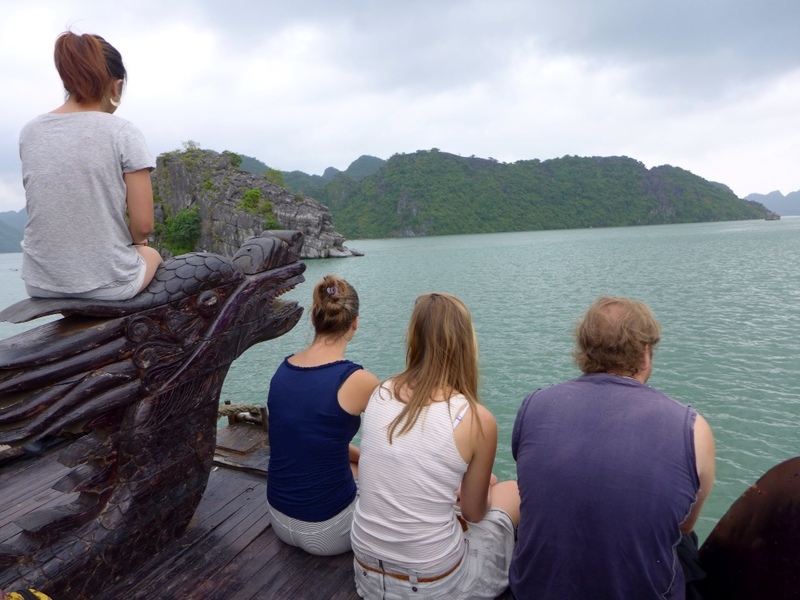 After, we motored on to Hang Súng Sôt to tour the caves. You get to go for a swim in the ocean. At 4pm we docked at a beach and swam while the sun was going down. If there had been less trash floating around me, it could have been idyllic. This was an issue everywhere we went. Gorgeous views as long as you could ignore the trash on the ground. 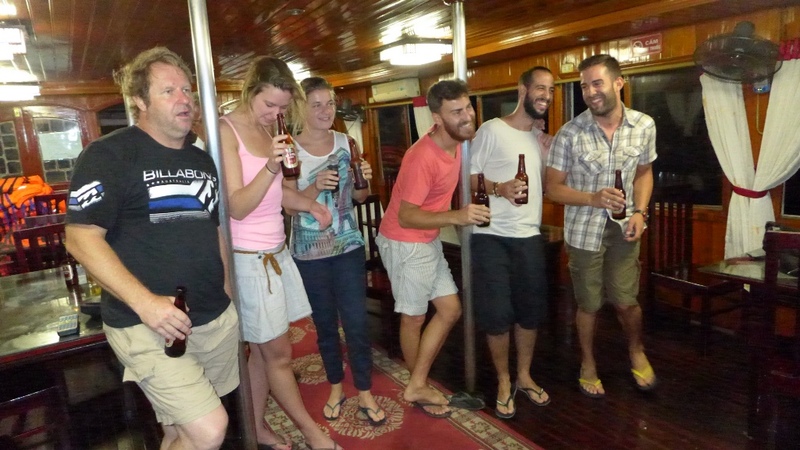 But you DON’T get to pick who is on your boat with you… luckily we won the jackpot with a pair of Dutch girls and a trio of crazy Spaniards. The evening started out with some Karaoke. Roxanne, 500 Miles, Let it Be, Mama Mia, Fernando and Troy’s pick, Sexual Healing… of course. Let the dancing commence! 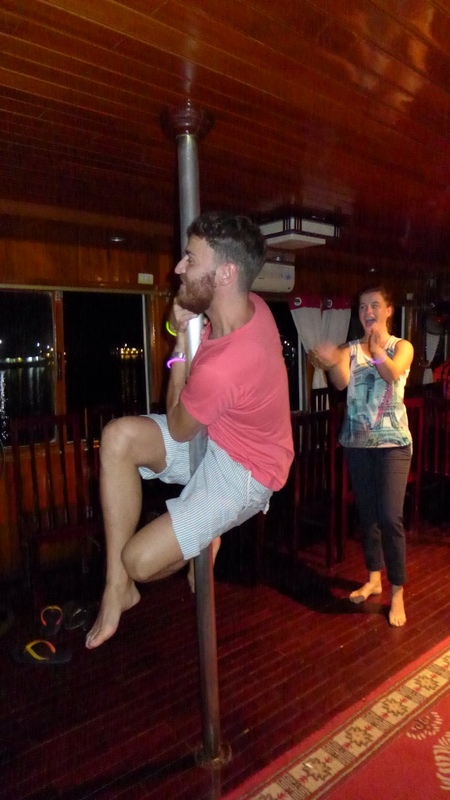 Their pole dancing routine was memorable… Well- at least I could remember it. Earlier in the evening, the Spaniards had managed to use a flashlight to call over a little boat- empty except for a case of beer! 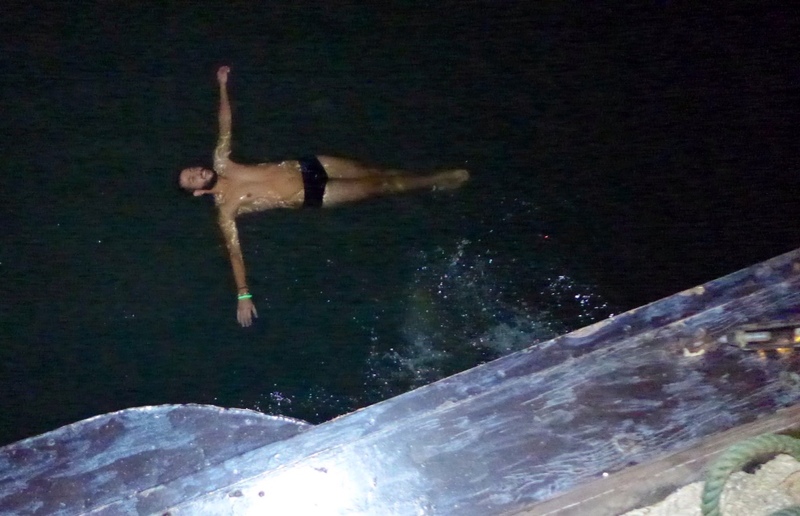 Later in the night, they decided it would be fun to jump off the boat. This may or may not have been related to the case of beer. 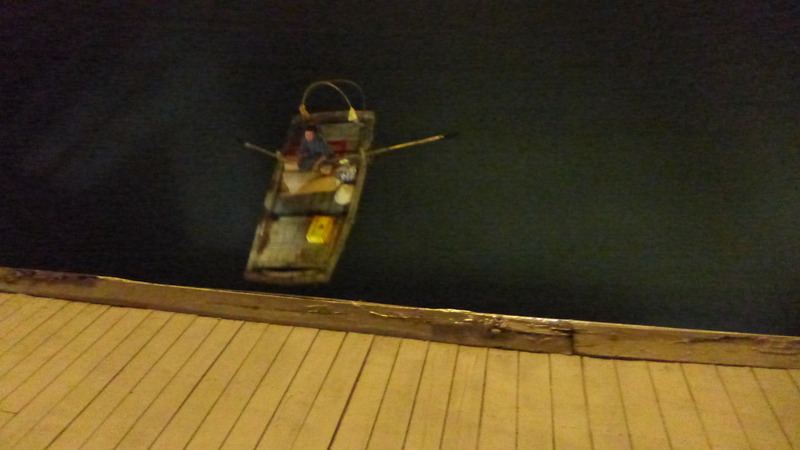 Ishmael couldn’t get back on the boat by himself but Borja kept insisting, ‘Esta bien!’ He’s fine. Looks like it. The Dutch girls help haul the Spanish boys out of the sea. They kept yelling, “Use your feet!” in Spanish- but it didn’t seem to help. Safely aboard! Whew! PS- none of them recall me taking this photo… After the chaos, I headed off to bed- only to hear the Spaniards noisily roaming the hall- they had lost their room key (because they had misplaced their pants…) and were unsuccessfully trying to get the Dutch girls to let them stay in their room. If that evening had been any more entertaining, someone would have gotten kicked off the ship.